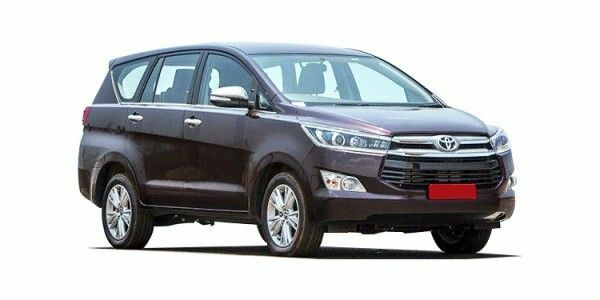 The Toyota Innova Crysta has been updated for 2019 based on customer feedback. These updates are limited to the diesel variants only. The 2019 version of the MPV gets “Ivory” perforated leather upholstery apart from the previous standard Black/Hazelnut Brown on the ZX MT/AT variant. Feature additions on the Innova Crysta include heat rejection glass on all corners and a USB fast charger on the V and Z variants. The Innova Crysta diesel range is now priced from Rs 15.67 lakh to Rs 22,43,000 lakh (ex-showroom Delhi). Toyota Innova Crysta prices start at Rs. 14.93 lakh for petrol and goes upto Rs. 21.71 lakh. The prices of Innova Crysta diesel variants start at Rs. 15.67 lakh and the top-end diesel is priced at Rs. 23.47 lakh. Toyota Innova Crysta is available in 20 variants and 6 colours. Share your experiences with Innova Crysta? The claimed ARAI mileage for the Toyota Innova Crysta petrol is 11 kmpl, and for the Toyota Innova Crysta diesel is 13 kmpl. The Toyota Innova Crysta carries on from where the older car left off – at the top. Toyota has made the MPV more stylish and more luxurious than ever before – and has gone all out with the engine and transmission options. The Innova Crysta now caters to a whole new segment of buyers – those looking for a premium car which can seat 7/8 people but will not drain their wallets in the long run. Q. What is the Seating capacity of people? Hi Vishnu, the Toyota Innova Crysta is available as a 7 or 8 seater. Q. TS zx Toyota tourning sports vs Toyota fortuner which has best space inside? Seems like Toyota has stumbled upon the missing mojo and has injected a massive dose transforming the humble Innova in to a fashionable new Innova Crysta. But should you buy one? The Toyota Innova Crysta is not exactly a replacement for the ever popular Innova. Think of it as the new and much more premium Innova that sits well above the old MPV. The Innova Crysta is truly in a segment of its own and has one of the widest price ranges in the entire Indian automobile industry. The prices for the Crysta start at Rs 14.06 lakh for the petrol base GX 7S and go all the way up to 22.42 lakh for top-of-the-line diesel Touring Sport. Between the two aforementioned variants, there are eighteen more to choose from. The Innova Crysta comes with a choice of three engines, a 2.7-litre petrol, a 2.4-litre diesel and a 2.8-litre diesel. The Innova Crysta is longer, taller and wider than the old Innova and in profile looks much more aggressive and modern as well. The double barrel headlamps that run into the massive hexagonal front grille with chrome slats along with the sculpted bonnet give the Crysta a muscular look. The muscular theme continues to the side with a prominent shoulder line and carries on to the rear where the shoulder line converges with the shapely wraparound tail lamps that seem to be inspired from the teeth of a sabertooth. The Innova Crysta comes with a choice of three engines, a 2.7-litre petrol and a 2.4-litre and a 2.8-litre diesel engines. The petrol engine makes 166PS of max power and 245Nm of peak torque while the 2.4-litre diesel makes 150PS and 343Nm and lastly the largest engine, the 2.8-litre diesel makes 174PS of max power and 360Nm of peak torque. The Innova Crysta is available in a total of 20 variants, 8 petrol and 12 diesel, with prices ranging from 14.06 lakh to 22.42 lakh ex-showroom. The most affordable variant of the Crysta range is the 2.7 GX 7S which is powered by the petrol engine and the most expensive petrol variant is the Touring Sport 2.7 AT which is priced at Rs 20.47 lakh and is the top of the line, fully loaded variant of the Crysta. The diesel variants on the other hand, are priced between 13.52 and 22.15 lakh ex-showroom. The Touring Sport variant is available with all three engines and both manual and automatic gearboxes. The Toyota Innova Crysta is an expensive piece of machinery, there is no doubt about that. But there is no denying that it is a well rounded package as well. It looks modern has all the convenience and safety features one might look for and comes with the confidence the names Toyota and Innova inspires as standard. Plus, the numbers speak for themselves as the Indian market has warmed up to the idea of a more expensive Innova, some even foregoing luxury brands in favour of the Innova. So it is a winner hands down. The G Plus variant gets barebone features and is available in both 7-and 8-seater configurations. Confused about Toyota Innova Crysta?